My dive into virtual reality did not begin with visions of mass market adoption. It was only a few years ago that I began teaching my Micro-Storytelling workshop at the Center for Nonprofit Management in Los Angeles. With each cohort of participants I began to notice the rich tapestry of narratives and use cases that emerged as well as the great need to find more effective ways to get people from “I know what you do,” to “I believe in what you do.” This was particularly important for providing human services, cultivating donors, and creating partnerships between foundations and nonprofits. VR is about teleportation. It can have a profound impact on people. From hospitalized patients, to policy and grant makers. After successfully going through the initial workflow of creating a 360º degree video, I immediately started to reach out to my colleagues to volunteer and donate my newly developed skills as part of my business model. My first experiment was with the Femaales Project, a women’s health organization that works with at-risk populations in South Los Angeles. Those were the early days. I initially had no idea what we were getting into but felt enthusiasm knowing we shared a venturous spirit and the hope of learning together. Since then I’ve learned many lessons and techniques. However, it’s been the hands-on approach that has allowed me to teach others. The best way to learn, is to do, then teach. Thankfully, colleagues have always responded to my willingness to share. 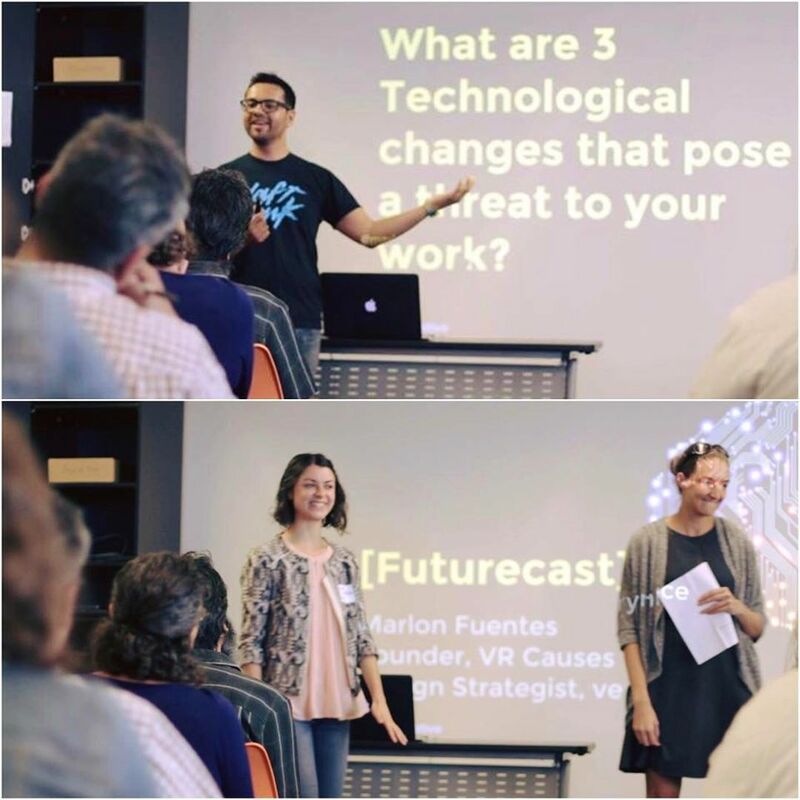 Recently, the Los Angeles County Arts Commission invited me to give a 3 hour lecture on the future of storytelling through virtual reality and how social good organizations can acclimate to change. Futurist Alvin Toffler wrote of the idea of “future shock.” The notion that we experience a bewildered, disoriented, and frustrated state when we are not properly acclimated to change. This was my goal – to acclimate nonprofits to change. And this applies other pockets of industry as well, most recently I hosted a VR and Design event put on by the Professional Association for Design of which I am a board member of. Sharing is caring. After upgrading my skills and equipment, I was able to contribute my knowledge to Brazil Arts Connection, an organization I co-founded with Sergio Mielniczenko from the Brazilian Consulate. By partnering with The Los Angeles County Museum of Art, and the Consulate, we were able to record an amazing concert. My thinking – let’s take this further and look to hospitals and people in confinement who are deprived of cultural experiences. Let’s teleport them to places that can help lift their spirit and get them on their way to recovery. This is why I am so adamant about not seeing VR as this thing strictly for mass consumption, but a media that can help us change the world – for the better. My latest immersive storytelling project follows a group of Brazilian drummers and dancers through the streets of Los Angeles during the historic Women’s March. My hope is that his form of documentation can benefit current and future generations of learners. Imagine having a 360º immersive view of one of Martin Luther King’s speeches or other historical moments. By seeing this work not only as exciting, but preemptive, we can help create a desired future.